Ironically, by embracing one of the most egregious distractions we possess — our smartphones — we unlock the potential for more effective meditation. These seven apps will help you begin meditating, learn to stick to it, and practice. There’s no shortage of mindfulness and meditation apps these days, promising to help you combat anxiety, sleep better, hone your focus, and more. 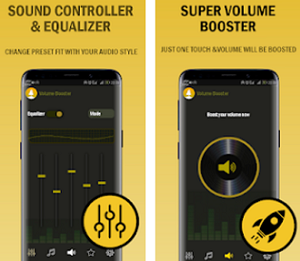 We’ve selected one of the top on both Android and iOS platforms, called Thought Waves Pro. What is Thought Waves Pro? Thought Waves Pro is an innovative cross-platform meditation app that can actively reduce stress and bring balance back to your life. If you want to find relaxation and positive healing, this beautifully designed and user-friendly tool is perfect for you! Basically, it is a relaxation app to monitor and hold your favorite medical meditations. Let’s see how it helps its users. 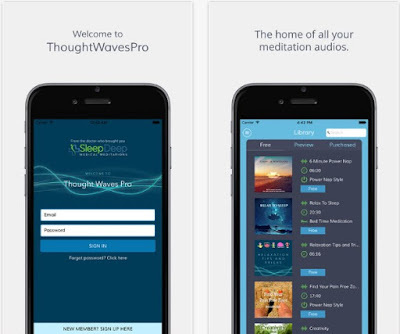 It has never been easier to reach deep relaxation with Thought Waves Pro. It is perfectly created to help you relieve the stress you’re experiencing every day, whether at home or at work. It can easily become your ultimate guide to a stress-free mind and body. All you have to do is login or register for free and then you’ll be able to enjoy smooth and quiet meditation audios, see how much time you meditate and how you progress in the statistics section, and track your development with the 8 week progress board. There are many health benefits that this app provides, like: reduce anxiety, control blood pressure, improve blood sugar, reduce blood clotting, boost immunity, improve digestion, bring you a deeper sleep, revitalize energy, etc. 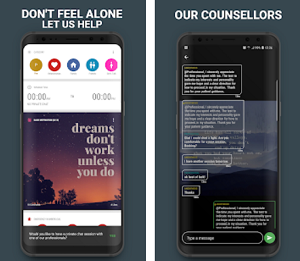 Reset you balance, live a healthier and more relaxed life, download the Thought Waves Pro app for free from Google Play or from the App Store today.